American Wholesale Property: Looking for Duplexes? HERE ARE THREE! Looking for Duplexes? HERE ARE THREE! This property is one of three duplexes that has had kitchen and bath updates in both units and only need flooring and finish out. 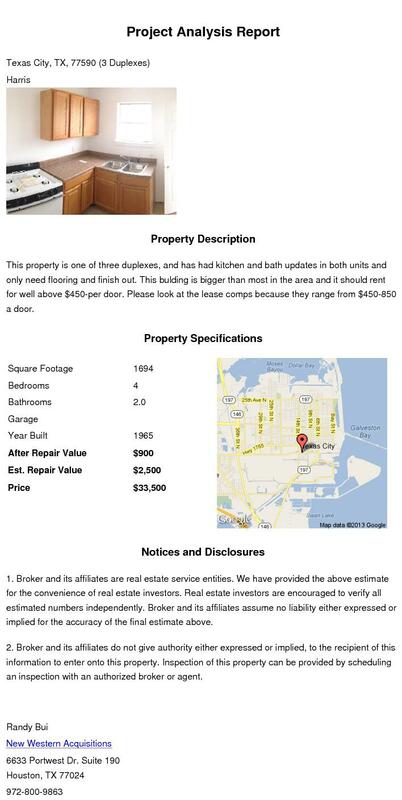 This building is bigger than most in the area and it should rent for well above $450-per door. please look at the lease comps because they range from $450-850 a door. CALL RANDY FOR MORE DETAILS!